Development and testing services are provided to worldwide customers within all possible business sectors from automotive, industrial to scientific application. ET EnergieTechnologie own test stands are based on more than 15 years of experience in operation. The state of the art test stands are based on all the knowledge collected from the past and will be updated continuously to meet all requirements of common standards and above. 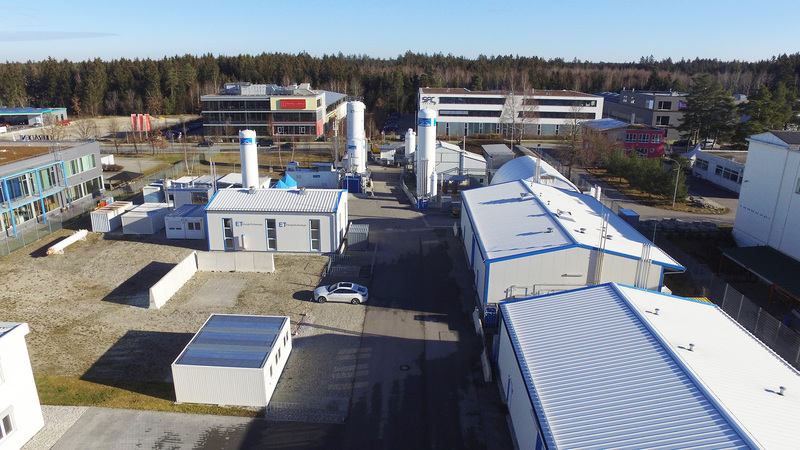 Furthermore all facilities are equipped with an automatic recollection system to reuse hydrogen for saving costs and being environmental friendly. ET EnergieTechnologie provides development testing according to customer requirements starting from scientific material investigation over component level up to full systems level. ET EnergieTechnologie provides certification testing according to all common standards e.g. EC, GTR, SAE, HGV, etc. ET EnergieTechnologie provides special testing and test stand engineering to fulfill testing at the limit of the actual possibilities. As ET EnergieTechnologie has engineered and built up all test facilities by itself, all knowledge to modify the facilities is in house.